Remnants of construction projects past don’t have to go to waste. 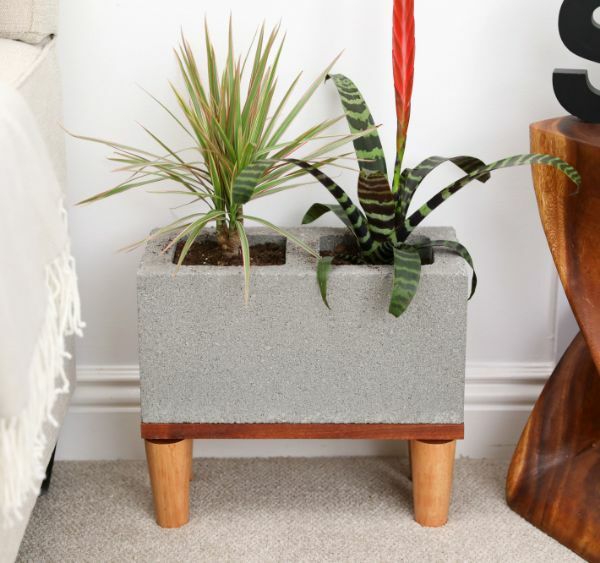 If leftover cinder blocks are taking up space in the garage, turn a single block into a beautiful houseplant pot in only a short amount of time. Repurposing cinder blocks into planters incorporates a rustic touch into interior décor. This DIY project also provides house plants with a sturdy base that’s durable and makes watering easy. The right hand-held tools make creating a base for the cinder block pot simple. A few well-placed stand legs in unfinished wood tones also creates a beautiful contrast against the neutral cinder block hue. A cinder block houseplant pot is a great addition to a living room that’s done up in lighter colors as vibrant greenery really stands out against this type of backdrop. Feel free to mix and match plants easily in this type of planter. A cinder block does an efficient job at keeping soil and leaves contained while providing sufficient space for alternating plants as the seasons change. 1. Place a wood board measuring 8 inches by 16 inches on a flat surface. 2. Place four T-plates on each of the four corners of the wooden board, making sure the edges are aligned. 3. Mark the center and four screw points of each T-plate with a sharpie so the points are indicated on the board. Remove the T-plates. 4. Attach the wood board horizontally on a flat surface with two sets of table vices so one of the marked ends extends over the edge of the table. 5. Drill through the center sharpie mark on each end using a hand-held drill and 1-inch drill bit. Turn the board around, and drill through the center marks on the two remaining T-plate indicators. 6. Release the board from the two vices and brush away excess saw dust. 7. Place the board on a flat surface, and insert one M8 female converter screw into each of the four drilled holes. Use hand-held pliers to twist and secure it. 8. Center a T-plate over the top right corner M8 female converter screw, and attach the plate to the board using four 5-millimeter screws and a hand-held drill. Repeat with a T-plate on each of the three remaining corners. 9. 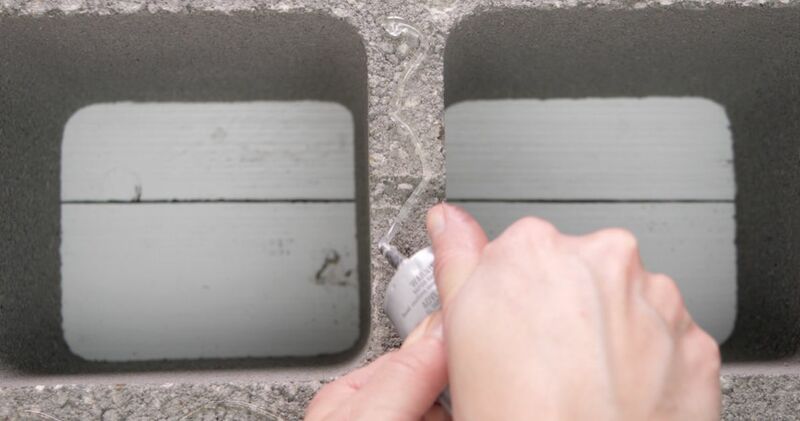 Lay a single cinder block horizontally so both holes are facing up, and cover the surface of the block with E6000 industrial-strength adhesive. 10. Press the backside of the wood board to the glued side of the cinder block with all four T-plates facing up. 11. Screw a singe wooden sofa leg into the center of each of the four T-plates. 12. Turn the cinder block over, and place upright in a desired position on the four wooden sofa legs. 13. Place a houseplant in each of the two cinder block holes. 14. Fill each hole to the brim with potting soil, and admire a new decorative addition to the room.